After the bunker apartments, here’s another unique architectural concept . 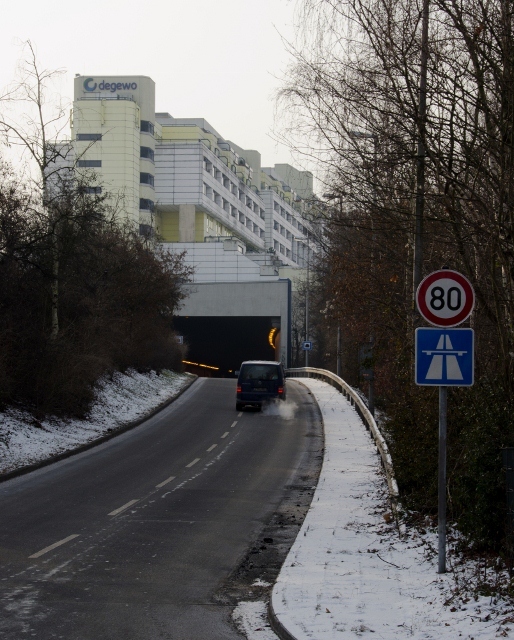 The idea of putting housing on top of a motorway has often been considered but Schlangenbader Strasse in Berlin is (so far) the only structure ever completed. More on this in a later post, but yes the motorway runs right through the place.